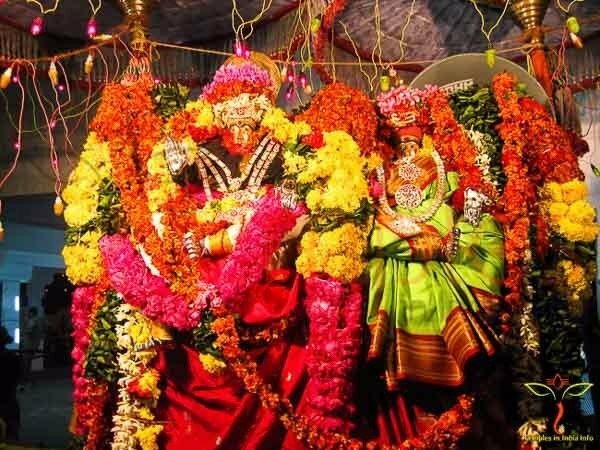 Goddess Desamma is well-known as ‘Goddess bestowing eyesight’ to the people afflicted with eye problems. 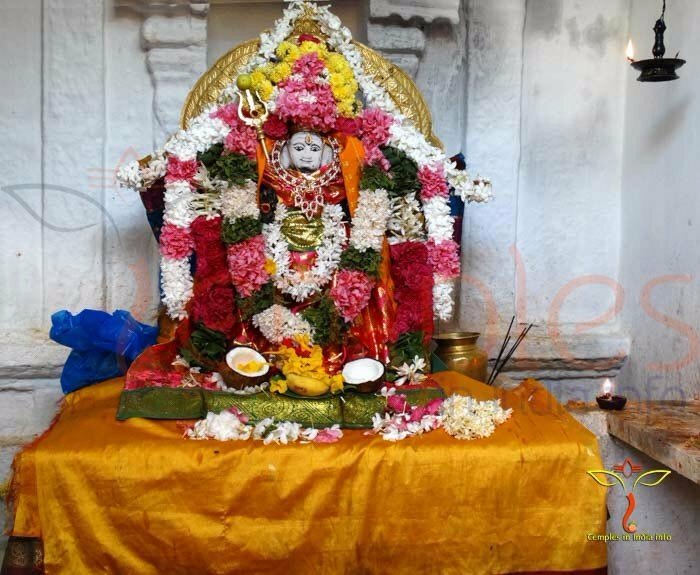 Desamma Temple is located at Tirumala Raja Kandriga near Nagari Town in Chittoor district in an area of 5 acre and 37 cent of land. The temple was constructed in 1980. According to a local story, there was an old and poor woman who earned her livelihood by selling firewood. One day, as usual, she went to fetch firewood. Suddenly she fell on a thorny bush and lost her sight. Then a small girl appeared to her and escorted her to her home. The girl told the old woman that she should dig at the place where she had fallen and recover and idol of goddess and asked her to install the idol. She further told her to dig a pit nearby place and that water would strike there and she should perform abhisekham of the idol. She should then sprinkle the holy water on her face to get back her eyesight. The old woman followed the instruction of the girl and recovered her lost sight. 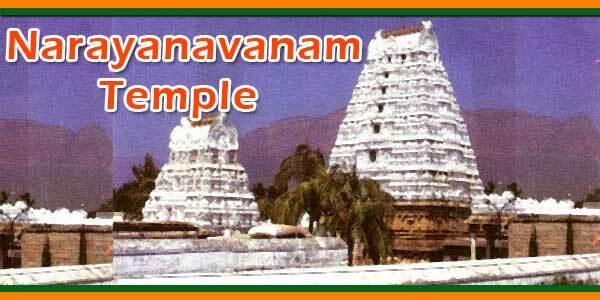 Then onwards the temple came to be known as Desamma Temple. 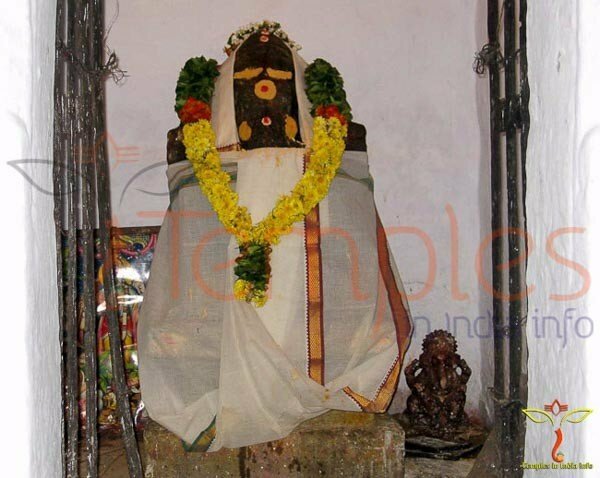 The abhisheka teertham is considered to be effective and a wonderful medicine for curing eye problems. According to another story, there was an argument between Lord Siva and Goddess Parvathi. Goddess Parvathi resented her husband and came down to the earth. She installed the phallus and took penance for Lord Siva and also donated her eyes. 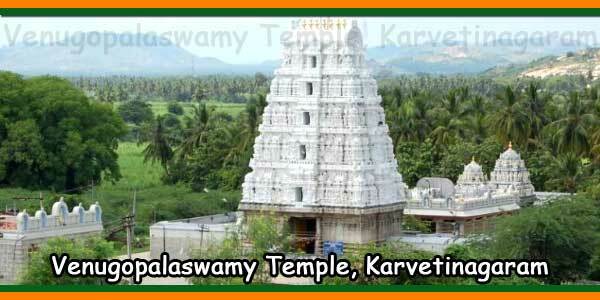 The Raja of Karvetinagaram came hunting in this area and when he approached the temple site, he lost his sight. Then Goddess Desamma told him to sprinkle holy Abhishekam water on his eyes. Raja did accordingly and recovered his sight. As a token of devotion, he constructed a pacca temple for her. Another story in circulation is that Desamma and Oruguntalamma were sisters. 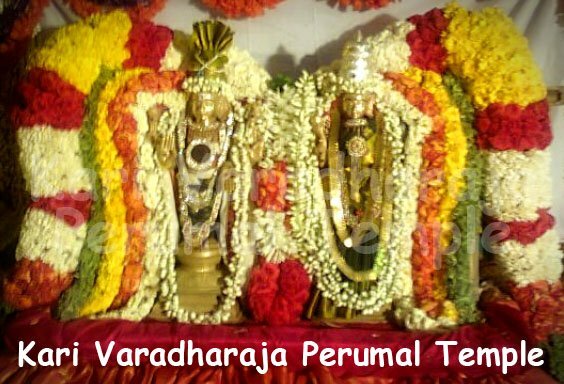 Oruguntalamma had two sons PothuRaju and SiddiRaju. One day Desamma came to see her sister’s sons. Oruguntalamma hid her sons and told her sister that her sons had gone out. Angered by the sarcastic remarks of her sister, Desamma turned PothuRaju and SiddiRaju into stones. And Oruguntalamma severed her sister’s head. We will inform once we get the number. hi, what are the prayers to be done for keratoconus eye problem in the temple?